Eric Brown’s oft-quoted lament “Manufacturers are drowning in data but starving for information” catches the essence of what we desired to fix in Dow. Dow Chemical, Midland, Mich., which produces more than 5,000 products at 188 sites in 36 countries, wanted to make better use of its data, even though achieving that wouldn’t be easy. Dow manufactures many products in multiple plants. The equipment and data storage systems often vary from site to site. This not only complicates data collection and analysis but also makes it difficult for Dow management to compare facilities and products, determine manufacturing barriers, and develop best practices and efficiencies. We collect a lot of data. However, as at many large companies, much data get very limited use. The immediate problem was to access all the data without having to move them or create a redundant, parallel data space. Upgrading or replacing systems was cost prohibitive and unrealistic, given the scope of such a project. We had no desire to invest millions of dollars revamping manufacturing processes or IT infrastructure. The intention wasn’t to replace current databases but rather to access the data where they already reside. The ideal approach was to use a neutral or agnostic solution with the capability to analyze data from all databases across manufacturing operations, and deliver a view of process health information in real time. So, in the spring of 2012, Dow turned to NWA Focus EMI from Northwest Analytics, Portland, Ore. It allows Dow to access data directly from existing data sources, passes these data through a global analytics layer, and then visualizes the critical process information in real time (Figure 1). This enables us to gain the information needed to monitor, understand and control our manufacturing processes. “Dashboards are shared across departments. When behaviors are contrary to agreed-upon metrics, the decision becomes data-driven,” notes Mary-Beth Seasholtz, one of our senior data scientists. Figure 1. Dashboard summarizes key process information and provides easy access to underlying data. The global analytics layer turns the vast amounts of data into information and metrics anyone could use. Everyone requiring the information locked within the data gets it in real time in the proper context for the person’s particular job and for taking action if needed. We anticipated companywide usage; so we began developing appropriate platforms to support that vision. Each work center requires local implementation. Dow also chose to roll out the technology progressively, adding sites as they became ready for the implementation. Each implementation could be completed in a morning. However, development continues as each work center has the flexibility to develop its model. In addition, we provide training that can last anywhere from half a day to one week depending upon the site’s needs. NWA Focus EMI has worked well with a diverse range of third party software, such as data historians and laboratory information management systems, and within our IT system. We haven’t experienced any problems in database access. While Dow expected to gain substantial capabilities in production-line intelligence, we also achieved significant return on investment (ROI) in other ways. The ROI was immediate as soon as NWA Focus EMI was turned on. For instance, the company realized quantifiable benefits by being able to directly access data wherever they were captured. We also gained significant quantifiable value by avoiding expensive mistakes in the manufacturing process. Now, a variety of people at our plants and across global sites see the same information, based on agreed-upon metrics and variables. There’s no more guessing about what the data reveal in terms of manufacturing processes or behaviors. We can take corrective actions at once across all levels of the company, eliminating finger-pointing and time-consuming remediation procedures. As was the intention, manufacturing decisions have become accelerated and data-driven. In addition, Dow has gained more control over off-grade product, which has reduced waste of raw materials. We now have the information to understand subtle variations in measures of processes within the plants. In the long run this will significantly impact targeted areas in the production process and, for instance, increase the lifetimes of certain assets. The intelligence views delivered by NWA Focus EMI also enable us to keep information sustainable. Instead of multiple spreadsheets stored on laptop hard drives, with as many methods for calculations as there are personnel, the information constantly is refreshed and accessible at any time for immediate action. We now are using the information to continually improve operations and to achieve savings among others by reducing production-line downtime. We also can address manufacturing and process issues before they become major problems. 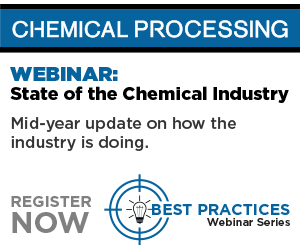 For instance, we can quickly identify any changes with a supplier’s raw materials that could negatively impact a catalyst and take corrective action fast. It also enabled significant improvement in runtime between scheduled maintenance turnarounds. NWA Focus EMI has generated significant value for the plants where it is implemented. Dow had a vision of how it wanted to access and use its data. NWA Focus EMI has made that vision a reality by providing us with the information and ability to determine manufacturing barriers, improve efficiencies and develop best practices. We will continue to expand the use and positive impact of the technology across our manufacturing operations. In addition, we will adopt two key accelerating modules. In the first quarter of this year, we will start a beta deployment of NWA Focus EMI KnowledgeBase, which automatically captures, accumulates and organizes institutional knowledge (e.g., assignable cause/corrective actions) and best practices from across the enterprise. The skeleton will be easy to create. However, we anticipate that developing the muscles and brains of the KnowledgeBase will take some time. Later this year, we will beta NWA Focus EMI Collaboration Center, which speeds issue identification and resolution by enabling all issue-related information, data and documents to be shared quickly with process experts across the organization — no matter where they reside — to analyze problems and produce optimal solutions. Use of both modules likely will grow as local collaboration teams find suitable methods to take advantage of them within their daily and weekly activities. Lloyd Colegrove is Freeport, Texas-based director of data services in the Analytical Technology Center at Dow Chemical.